Arriving into Sydney was a bit of a weird one for me. Not only did it herald the final leg of my east coast tour, but when seeing the Sydney Opera House whilst driving over the Harbour Bridge, it was the first time that, despite having been here so long, I was in the presence of a singularly iconic Australian landmark. And when going to see it up close, I used it to shelter from the rain with a friend from back home. A familiar skyline. And dark clouds. Although Simon and I know each other not just from living in West Somerset but also as we both went to university in Aberystwyth, thus making him the friend I am most used to seeing in different countries, after two months on the road it was still somewhat surreal visiting an internationally famous monument halfway round the world and still seeing someone so familiar. Considering he came to Australia before me, but chose to work in Sydney before going backpacking, I had always known I’d see him there (as quite frankly it would be rude not to) but it’s still a day that stands out somewhat. And this from a period in my life when everyday is pretty much different from the last anyway. A nice break from the city. When you can’t see it. The classical looking Art Gallery of New South Wales isn’t normally one that would be top of my list, but as it was not only free, but also right there when the steaming rain started falling, it was rather convenient. Historical landscapes and portraits might not be my thing, but there was also an exhibition of asian art and artefacts that I did enjoy, but generally more my kind of art was the Museum of Contemporary Art. I also chose to visit the Powerhouse Museum, which focuses on science and Technology, from the earliest of steam trains to the marvels of space exploration. 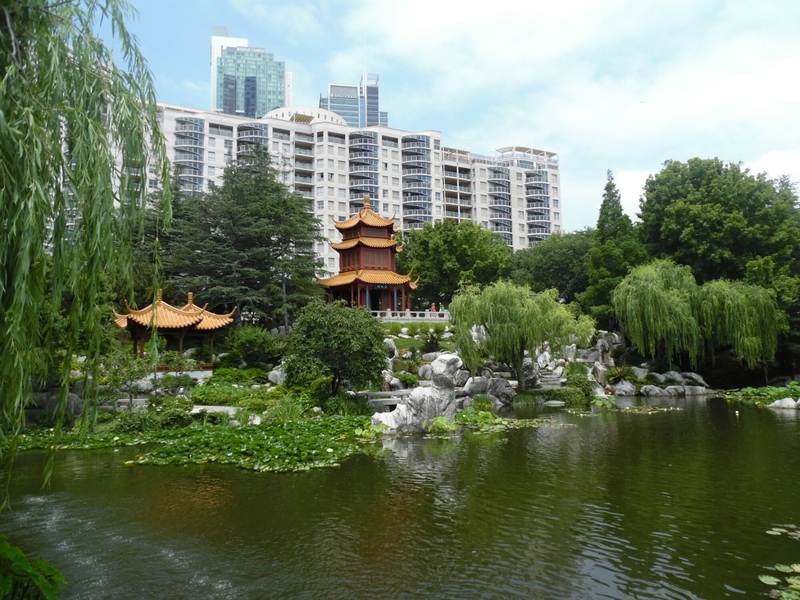 The Chinese garden was also well worth visiting, which as the name suggests is open to the elements, but luckily it wasn’t raining for my entire time in the city. 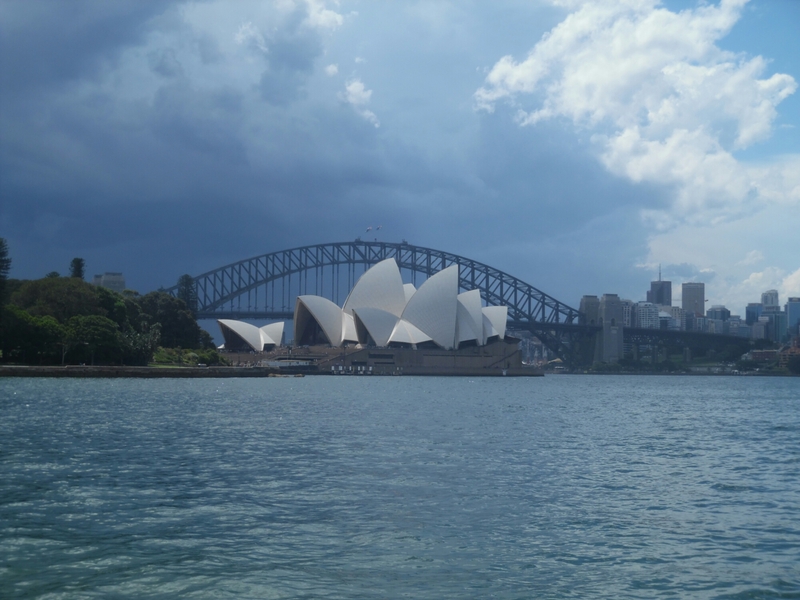 Located on the other side of Darling Harbour is the Sydney Aquarium which I also visited, and was more my kind of wet. Thanks to being lucky/knowing some really kind people, I also had the added bonus of getting in for free. Once inside I finally got to see some Platypus, as well as a whole host of other weird and wonderful creatures, including crabs, lobsters, and not one, but two underwater tunnels. The first takes you under the tank which houses the aquarium’s two manatees (which are actually different from dugongs), and the second being more stereotypically Australian with the chance to see sharks swimming around you, albeit in a safe environment. Before I arrived I was told by many people that they weren’t that impressed with Sydney, it was just like any other city with nothing (other than the Opera House) that stands out, but I have to say I enjoyed my three days here. Perhaps it was because I didn’t stay for too long, and although I didn’t get out to Manly or Bondi, my time was just enough time to see the city centre which I enjoyed more than I thought I would, even despite the setbacks. Afterall, I can’t blame Sydney for losing my debit card. That one was my own fault.